As a parent, you want to make sure that your child is safe at all times. Unfortunately, you have other things to do besides watch your baby sleep or play. This is where baby monitors like a Summer Infant Video Monitor come in handy. See all Summer Infant Baby Monitors Here. A baby monitor is crucial to have in your home for your own peace of mind. You can’t stay beside your child 24/7 but having a video monitor may be the next best thing. By using this device, you are able to monitor your baby even when you are far from them. It gives you the ability to know what’s going on inside the nursery whenever you want to. Having a baby monitor will also give you space and more time for yourself. Sometimes you have to get away from the chaotic environment of the nursery and be in another room to get some well deserved rest or sleep. Getting enough rest and doing other things whenever possible will keep you mentally sane. If you are mentally healthy, you’d be able to care for your baby at your best. And if this is baby number two (or more) – being in the nursery all the time just isn’t possible with more than one child. 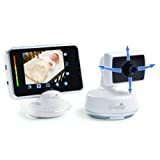 This is one of the best and niftiest baby video monitors in the market today. It’s very easy to set up and use. 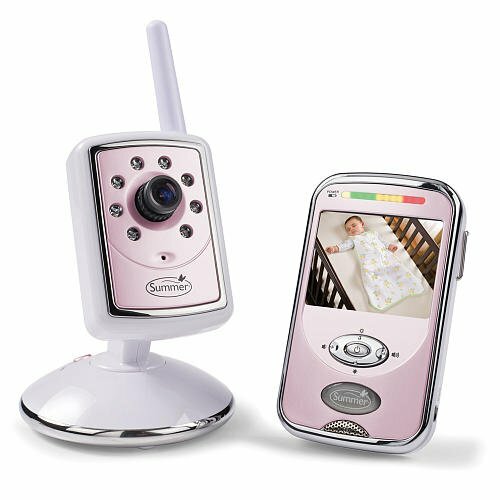 The Summer Infant Baby Touch Color Video Monitor features a 3.5″ color video display and 2-way talk back feature. What I especially love the most about this baby monitor is that the sound gauge. It will go up to orange or red when your baby screams, cries or calls for you. The display tends to be a little bright, this can be a problem at night when you’re trying to sleep but the good thing is that you have the option to turn the video off and use the device as a sound monitor. 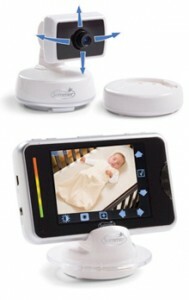 Another nifty feature of the Summer Infant Baby Touch Color Video Monitor is its pan, scan and zoom feature. The camera moves and adjusts itself when you press the arrows on the screen. It pans all the way around so you can see the entire room. How cool is that! 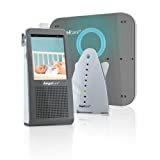 It may be a little expensive and the price is not something you are willing to spend on a baby monitor but this device will eventually pay for itself because of the peace of mind it’s going to give you. 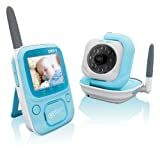 Another great baby monitor from Summer Infant is the BestView Digital Color Video Monitor. You can scan, pan and zoom in with this monitor easily. This will give you the ability to check on your baby closely even when they move around. You can move the camera up, down, left or right and have a view of the whole nursery. It features a 100% digital technology to give you clear and secure connection. You are going to love the 2 1/2″ color LCD display that has a range of up to 400 feet, the sound activated lights and night time Infrared LED for dark rooms. Yes, you can still see your baby even if it’s pitch-dark in their room. You are going to be pleased with the picture and sound quality of this color video monitor. The Summer Infant Slim and Secure Handheld Monitor is perfect for parents who are looking for a sleek and stylish baby monitor. This will make you feel like you are watching your child from your mobile phone. It’s so handy and lightweight. It comes with a two-way intercom feature so you can talk or sing to your child even when you are far from them. This is a great video monitor to take with you while traveling because of its compact design. The quality of the sound and picture is fantastic.